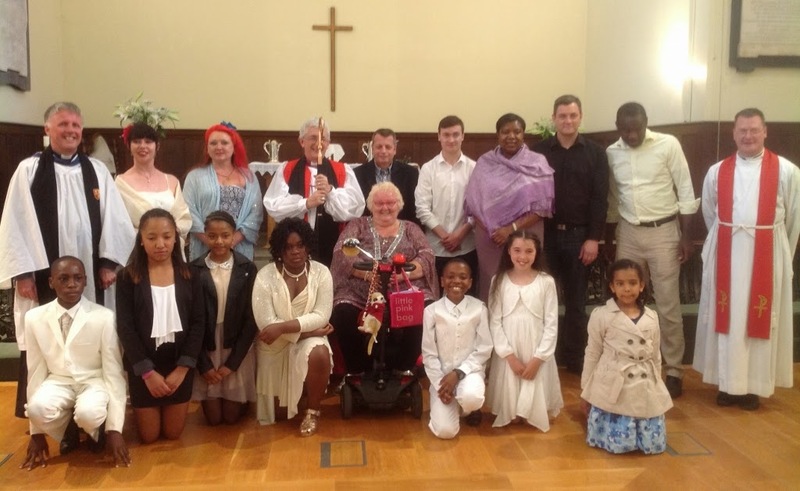 An amazing weekend concluded with our confirmation service in St James with Bishop Michael, where twelve candidates from St Anne's & St James and two from Holy Trinity, Rotherhithe, were confirmed. Congratulations to Geron, Nariah, John, Alistair, Scarlett, Kim, Jean, Adeyemi, Joakim, John, Tina, Scarlett, Sade and Sarah. May God bless them. 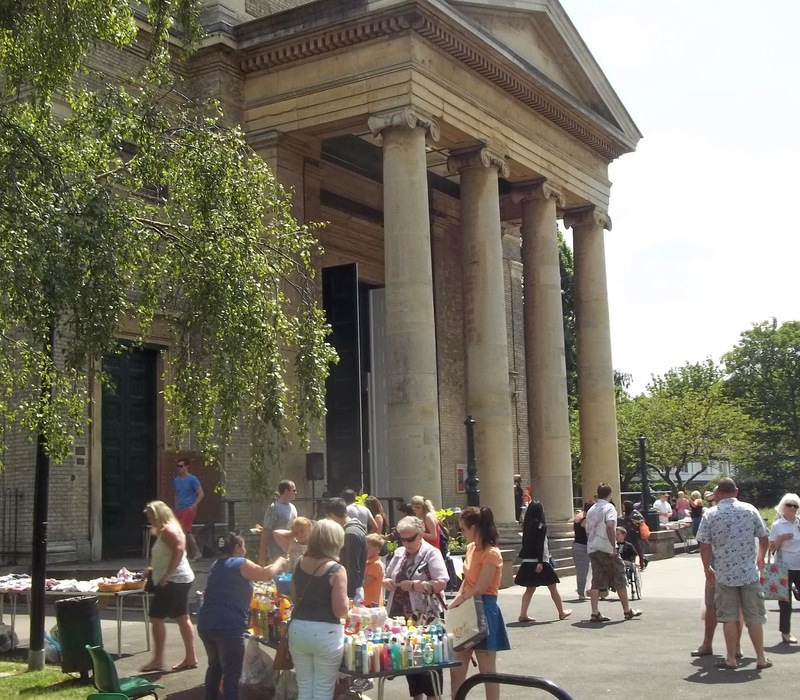 We used every chair we owned and every adult-sized chair the school owned to seat the congregation in the churchyard as St James joined with St Anne's for our open air baptism service at which six members of St James and St Anne's were baptised. Tonight four of the candidates will be confirmed, alongside a further eight candidates from St James and St Anne's and two from Holy Trinity, Rotherhithe. It was good to be out in the open, welcoming neighbours and passersby. It was good to be singing God's praise. And it was good to be reminded of God's grace changing lives as Jesus builds his church. No one ever baptises themselves. It's something that has to be done to you. And that reminds us that the 'glorious way' that God choses to save us is to do it all Himself. God saves us. We believe. We are baptised. We believe. That's God's way and it's the most glorious way in the world. Its the way God offers a fresh start, and the slate wiped clean, to everyone who comes to him. As we sung at the end of the service: To God be the glory! 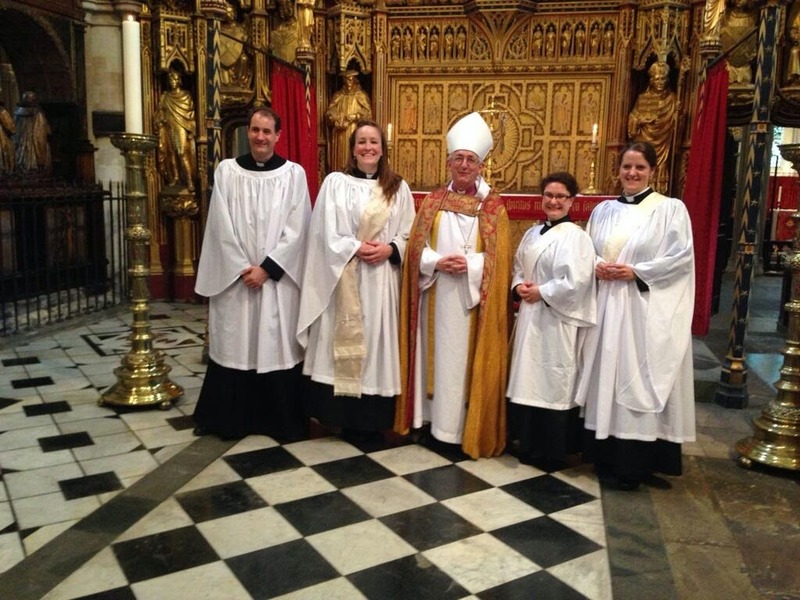 Fifteen new curates were ordained this morning in Southwark Cathedral, and here are the four from our episcopal area with the Bishop of Woolwich. The photo was tweeted via the Church of England's hashtag '#newrevs' designed to celebrate the one thousand men and women who are being ordained this summer in the CofE. 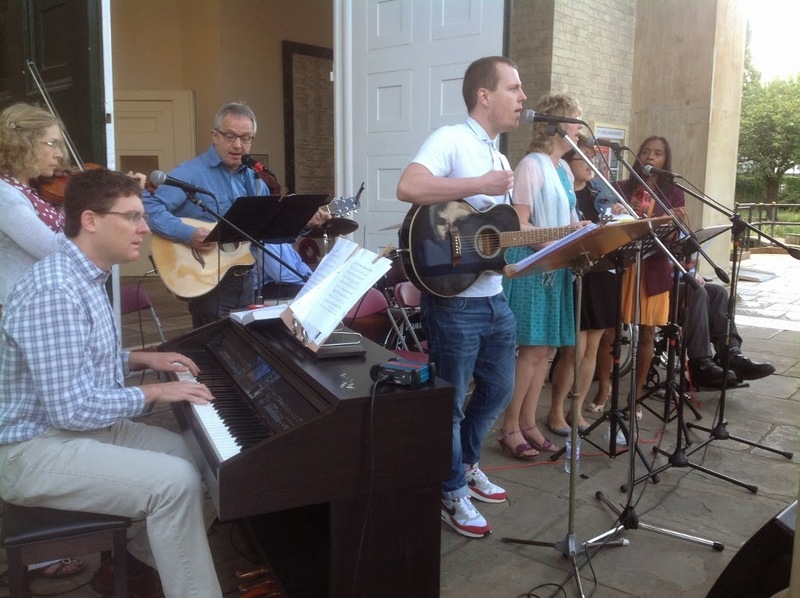 First on the left is Jos Downey, the latest addition to our staff team at St James and St Anne's. 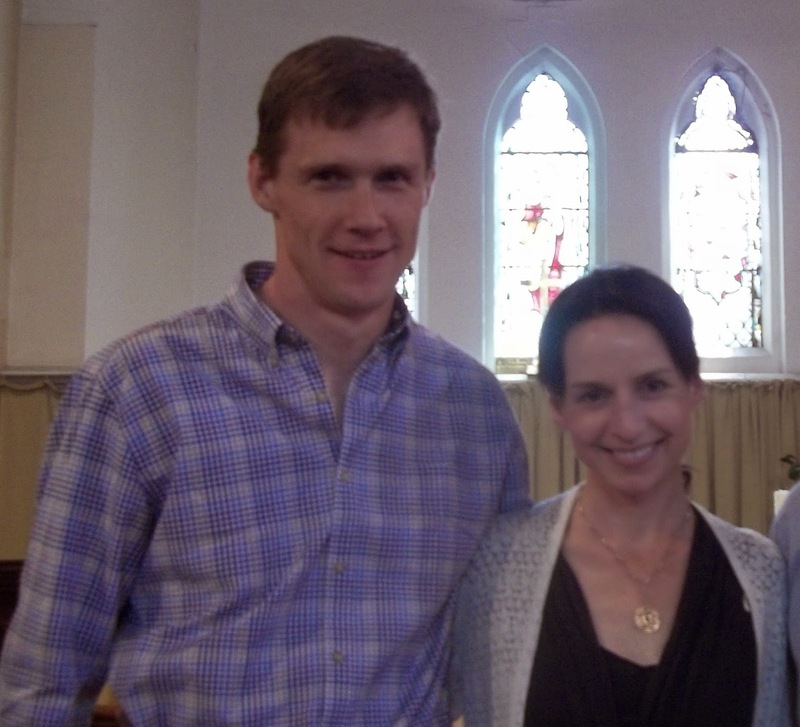 He comes to us from Ridley Hall, Cambridge where he trained for the ministry. Welcome to Bermondsey, Jos. 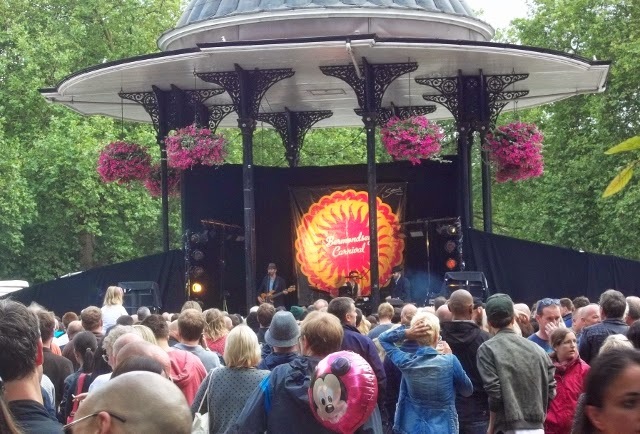 It was in fact a good day to arrive in Bermondsey because today was the day of the Bermondsey Carnival in Southwark Park, an event that has taken place every year since 1900. 'I'm Bermondsey and proud' the Pearly King of Bermonsey told us, before Chas 'n' Dave came on the main stage to round the day off with a real south London, Cockney-style, knees-up. 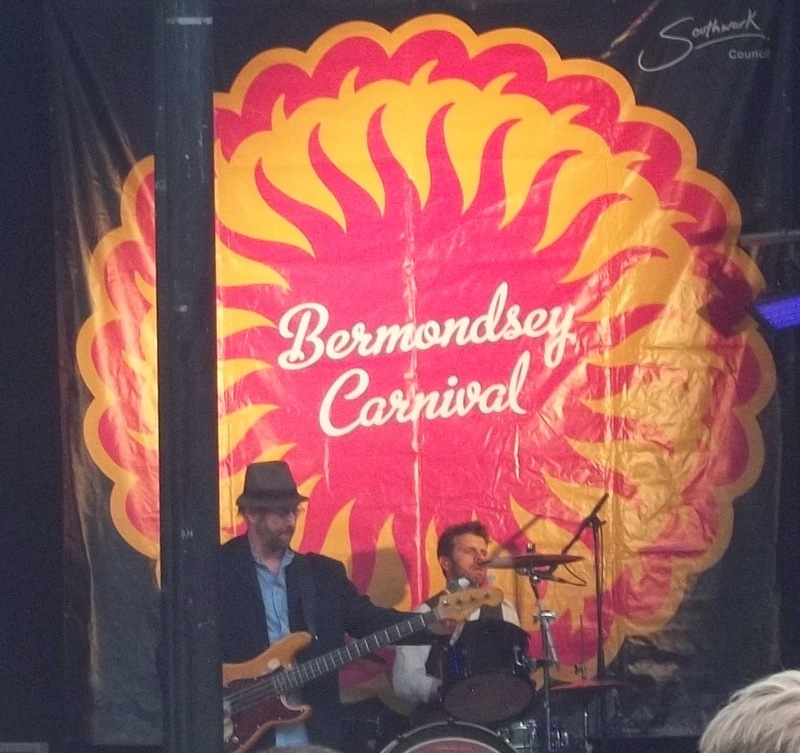 Thanks to Southwark Council for sponsoring a great community event and for providing the first item in the induction programme of our freshly-minted BermondseyCurate. It's not every day that a member of the congregation is made an Ambassador, but yesterday it was officially announced that St Anne's member, John Casson (left), is to be Her Majesty's Ambassador to Egypt. 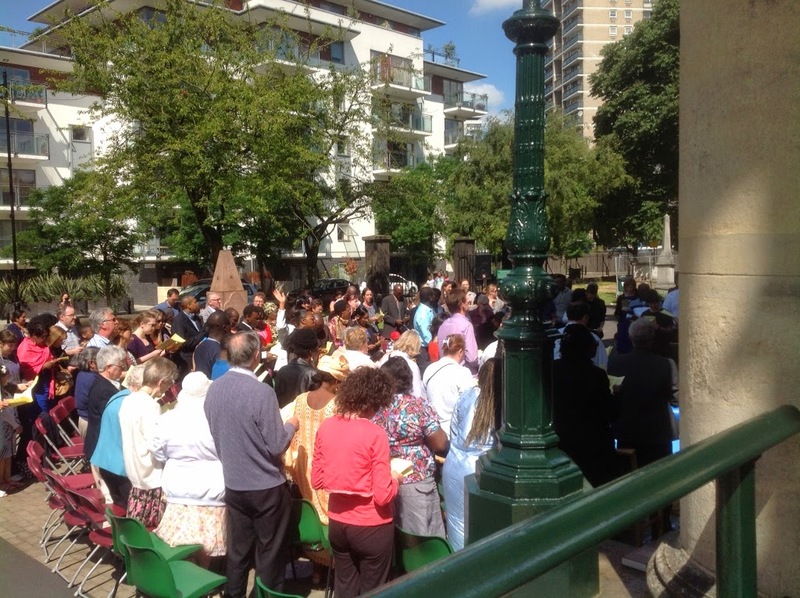 Last Sunday we had a special farewell and commissioning service for John and Kat at St Anne's as they prepare to move from Bermondsey to Cairo, from their terraced house round the corner from St Anne's to the British Amabassador's rather palatial residence in Cairo. The reading (Matthew 10.24-39) set for the day seemed to be very relevant and in my sermon I drew these three points for John and Kat and for us all as we follow Christ: (1) Be like your master; (2) Know that your Father's loving protection surrounds you wherever you go; (3) Never be ashamed to say you belong to Jesus Christ. The Government website says about John: 'His career has had a strong focus on the Arab world, including as Deputy Ambassador in Jordan, as Head of the FCO’s Near East and North Africa Department, and accompanying the Prime Minister on his visit to Egypt in 2011. From 2002-2005 he held the high profile role leading the US political outreach of the British Embassy in Washington. He has also worked in the UK Representation to the EU in Brussels and as Senior Policy Adviser in HM Treasury. 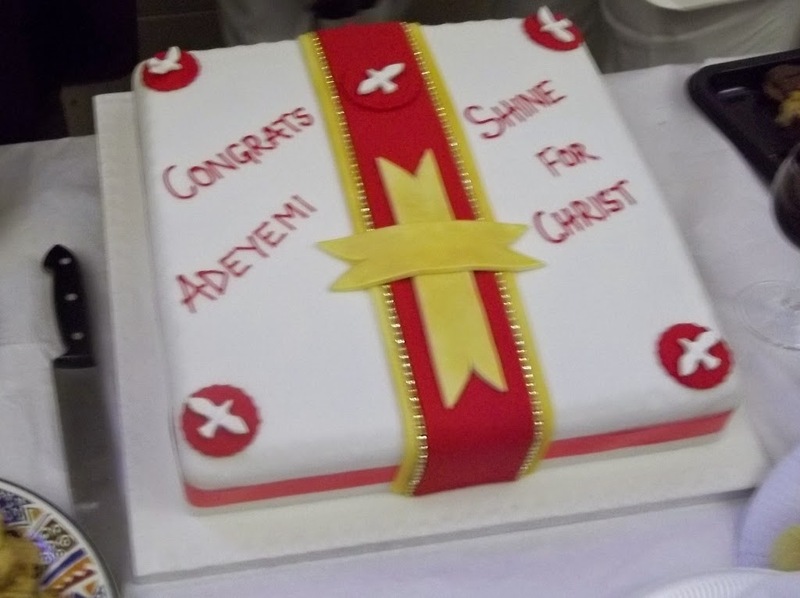 At St Anne's we shall miss them greatly, but we're keep praying for them and we look forward to their eventual return. We know for John and Kat its a new adventure in God's service and, as for us: we're proud of them. They didn't call it Bermondsey New Church for nothing. When St James's Church was built in 1829 it contained a new, daring, and controversial innovation: a church loo. Spending a penny was no longer just about putting money in the collection. Congregants caught short during an over-long sermon could nip out to the state-of-the-art Water Closet, thoughtfully installed by architect, James Savage. Now at this point your blogger could descend into a series of poor taste puns (we are not known as a Waterloo church for nothing etc etc), but I will just say that I am glad, as the Telegraph article points out, that there are 'toilet facilities' in St James to this very day. And if we led the way in that regard, well, so be it. They were dancing in the churchyard today for St James joint church and school summer fair. 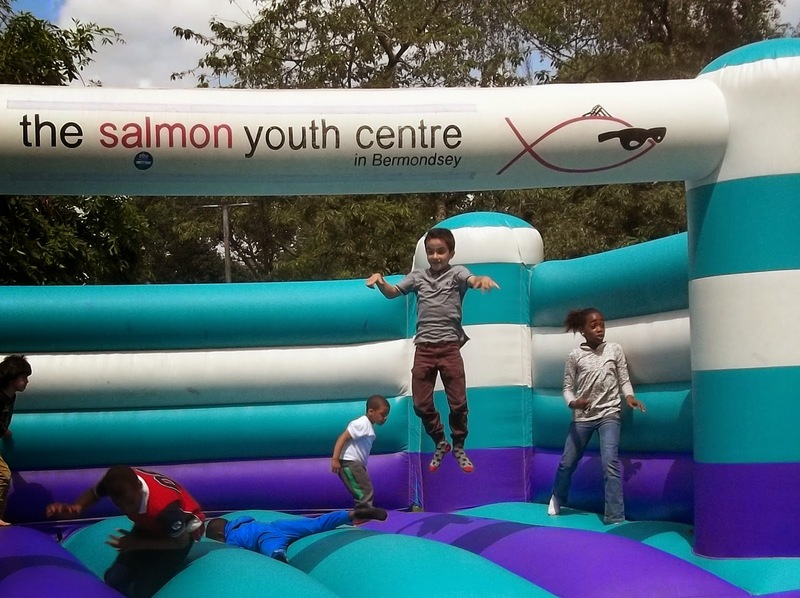 Coconut shies (very popular with the year 5 and year 6 lads), the Salmon Bouncing Castle, DJ Danny, the stocks, Jean's plant stall, Debbie's homemade bread, Ken's bookstall, face-painting, cakes, & teas, brilliant sunshine and a good time was had by all. 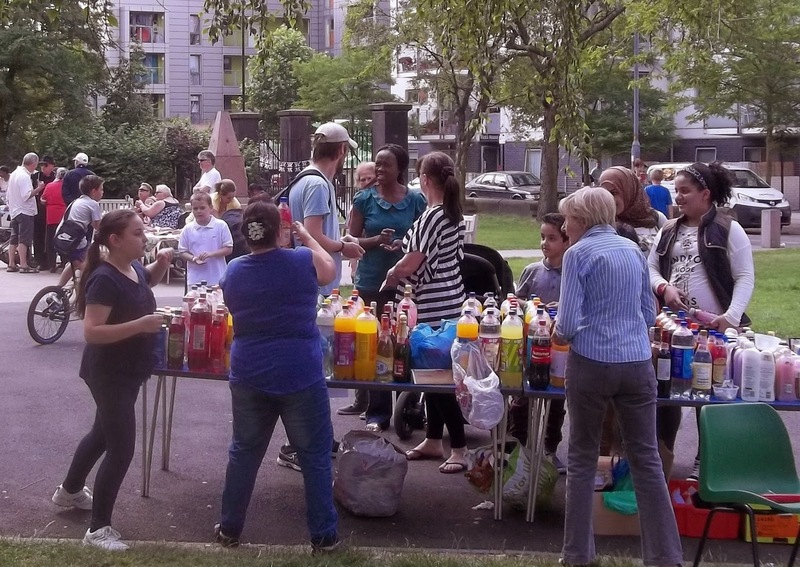 A really good community event. What better way of concluding twenty-five years presenting BBC's Newsnight, than to go on a bike ride through Bermondsey with the Mayor of London? 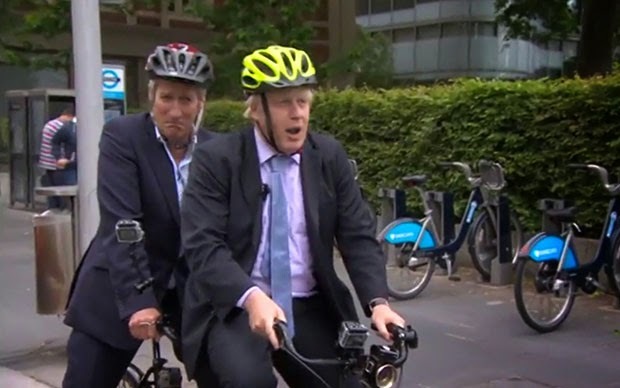 Yesterday local residents were treated to the sight of the dynamic duo wobbling through the streets of Bermondsey on a century-old tandem as Paxman attempted to interview Boris, while the latter attempted to dodge the traffic. For three years this has been his place of work. 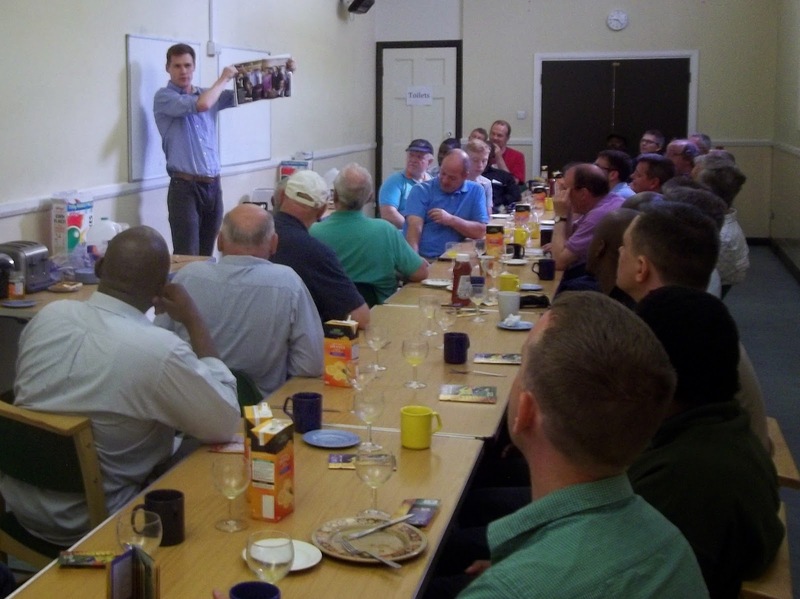 It was our fourth breakfast and the best attended yet, filling the south lounge at St James, as the men tucked into a full English and heard how John lives out his life as a Christian in the Government service. The really great point that John made was that wherever you work, whatever your calling, you can serve God there and you can be a witness for him. For John it was the daily time with the Lord at the beginning of the day that made the crucial difference to him personally. It was an opportunity to seek God's wisdom and grace for his highly responsible job at the heart of Government. It was our second to last evening of our latest Bermondsey Christian Training Course, Ready to Serve, and our theme was how to handle the Bible and give talks. After a bit of input from me - from the Bible - and some suggestions of how to give a talk on a verse of Scripture, everyone got going, in five separate groups dotted around the church, to produce the outline of a talk on the verse they had been given - and great was the company of the preachers. Each group had to choose one point they would make from their verse; think of an illustration of that point; and come up with an application. Then we came back together and each group shared with the whole group the outline of their talk. They were all brilliant. No wonder everyone applauded at the end of each talk. As for Psalm 68.11 that gets it about right (well it would do, it's in the Bible after all): the Lord gives the Word, and the natural and necessary outcome of that is a great army of preachers, teachers, bible-explainers, and good-news-tellers spreading out all over the world, just like the swarm of would-be preachers who descended on Bermondsey last night. 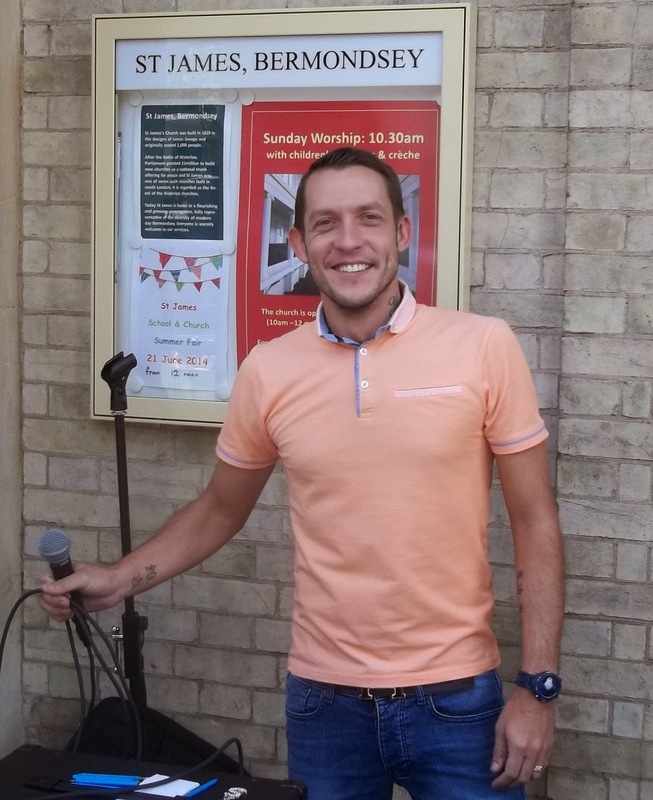 'Does anyone want to give the sermon on Sunday?' I asked at the end of the evening. 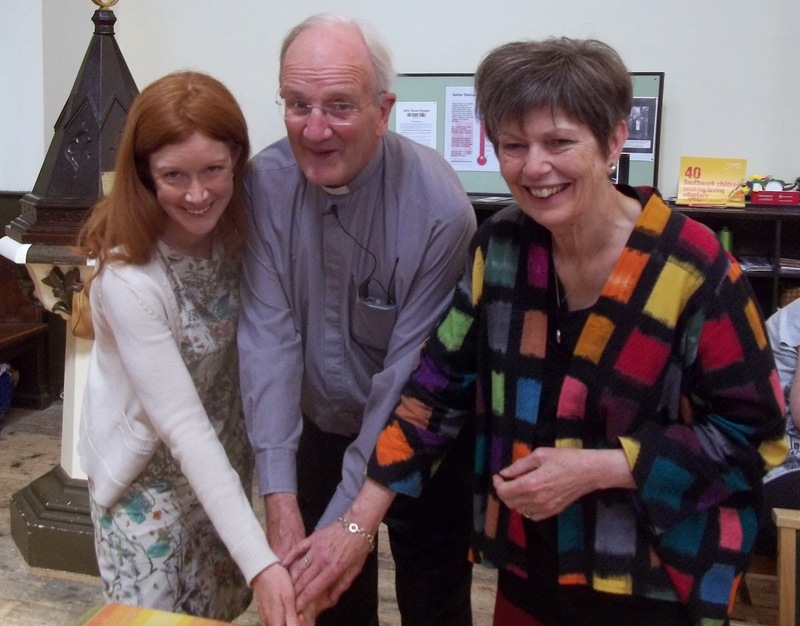 It was Pentecost Sunday and an opportunity at St James to welcome back former vicar, Henry Whyte. Henry was celebrating 40 years since he arrived in Bermondsey with his wife, Liz. It was great to hear his memories of forty years ago, of a growing church and deep friendships that have lasted half a lifetime. Henry remembers that when the congregation was much smaller, a curtain divided the church to create a more intimate space - and then he remembers the day when the curtain had to be moved further back to make room for an expanding congregation. And if you think St James's can be a little bit chilly in winter today, he remembers the time before the present wall heaters were even installed. 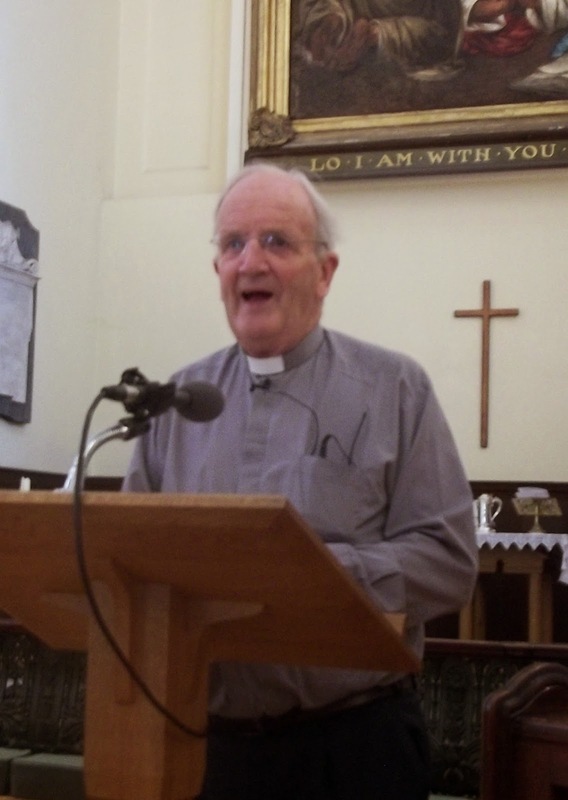 In 'retirement' he remains active as ever, full of the joy of the Lord, enthusiastically ministering the word of God as he did today at St James for our Pentecost Celebration. 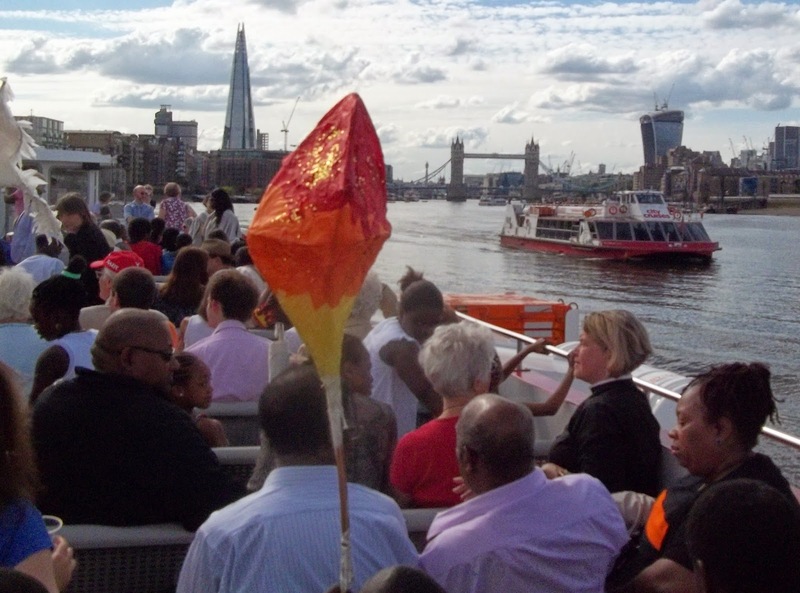 Next up was the Diocesan Pentecost Service at the Cathedral and for the Woolwich Episcopal Area a boat had been hired to convey us from Woolwich, Greenwich, or Bermondsey piers to the Cathedral. Only ten people per parish could be accommodated. Our allotted number embarked at Cherry Garden Pier for the trip down river to the Millenium Bridge Pier, just past the Cathedral. (In the event a kindly captain extended the cruise to just beyondWestminster Pier). On the way we were entertained by a Gospel choir, sang hymns, shouted hallelujahs, waved banners, and exchanged greetings with the passers-by who stopped to wave to us from the various Thames bridges. The Cathedral service itself was a rich feast with worship led by the worship band at Holy Trinity, Clapham, testimonies from a number of parishes and one deanery about mission projects they have been involved in, and a sermon by Bishop Christopher based on the Emmaus Road story on the theme 'hearts on fire', and an opportunity for everyone to be anointed with oil as the gospel choir of St Martin-in-the-Fields School sang. Eagle-eyed members of the congregation will have noticed this badge on my black preaching scarf. 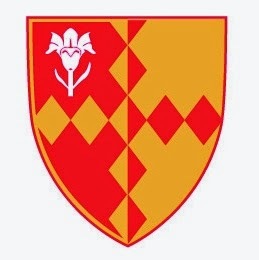 It is the emblem of Southwark Cathedral and, worn on my scarf, it denotes that I am a canon of the Cathedral..
Our task is to be 'ambassadors' for the cathedral and once a year we gather for the annual meeting of the College of Canons, a service of Holy Communion and a rather nice dinner. All this took place last night. It was good to have an update on the life of the Cathedral in an increasingly busy part of London, to catch up with old friends and to enjoy the Cathedral's hospitality. 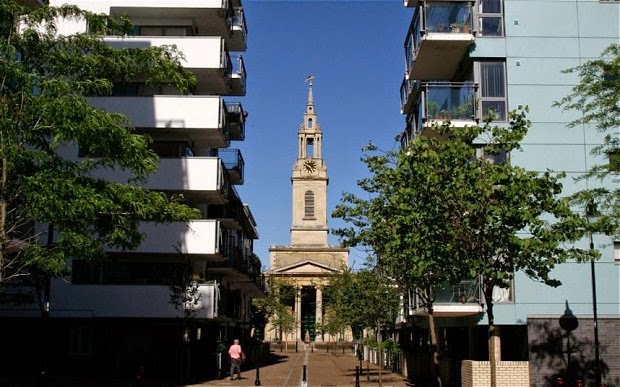 The new handbook for honorary canons says there have been canons in the church since the eighth century, and there have been canons in Southwark since 1106. Nowadays we still have the job of electing the bishop of the Diocese. This task is made easier by the fact that there is only ever one candidate - the one nominated by Her Majesty the Queen. Nonetheless we are all required to say 'aye' and duly elect the Queen's choice after the reading of the royal warrant commanding us to do so. 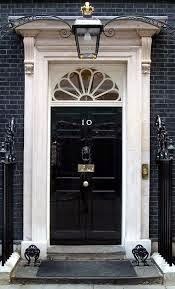 (These days the chosen name comes to Buckingham Palace via 10 Downing Street and a committee drawn from the diocese and the national church). Nonetheless, any canon who fails to turn up for the bishop's election is is publically declared by the Dean to be 'contumacious.' I had to look that one up in the dictionary. It means 'stubbornly perverse or rebellious' (ie an awkward so-and-so).